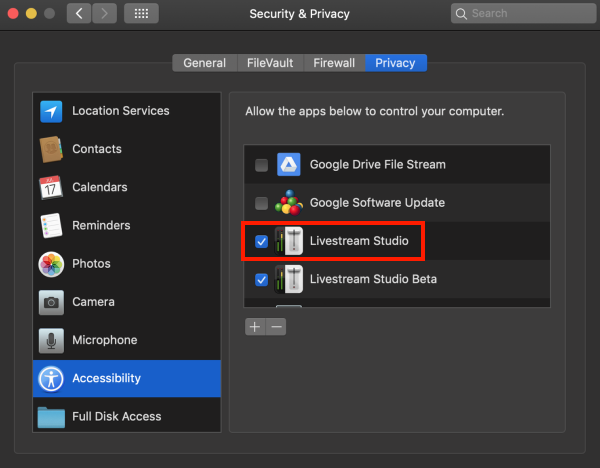 If you are using Livestream Studio on macOS Mojave, we recommend checking your Security & Privacy settings to ensure that Studio can run and all your video and audio sources are properly recognized. In System Preferences, navigate to Security & Privacy. Select the Privacy tab in the window that opens. 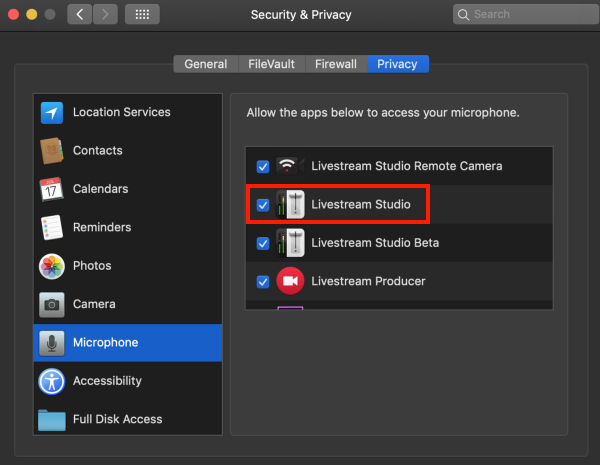 There are three permissions you will need to ensure has Livestream Studio enabled: Camera, Microphone, and Accessibility. 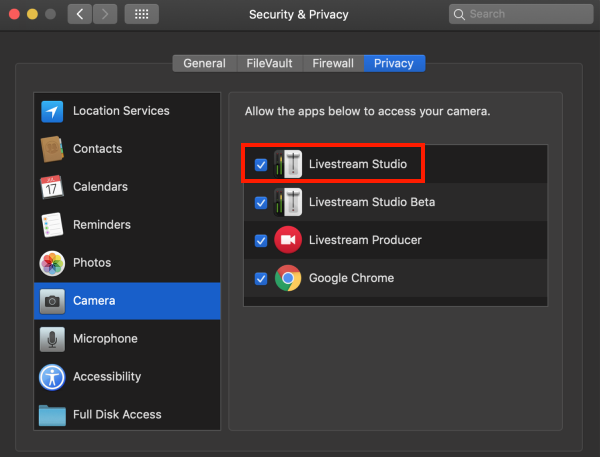 Highlight each of these and make sure Livestream Studio is checked. These permission settings do not apply to earlier versions of macOS. Can I Run Anti-Virus Software on my Studio Computer?